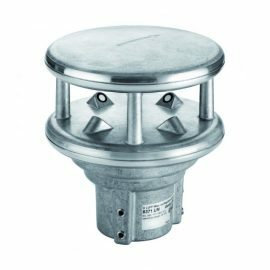 What are the Advantages of Ultrasonic Wind Sensors? 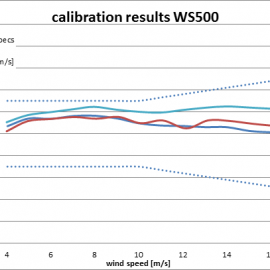 Whether mechanical, ultrasonic or laser wind measurements: All measuring methods have technical limits. While for mechanical wind sensors the measuring element – cups and vanes – itself predominantly produces a disturbance in the flow field, for ultrasonic anemometers a disturbance can be caused by the sensor holder or housing construction. Only optical methods, e.g. 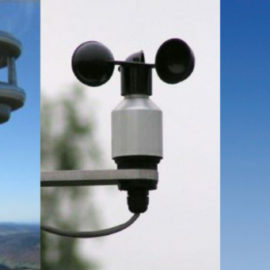 LDA (Laser Doppler Anemometer), enable a disturbance-free measurement of wind speeds. However, for this particles are required and such devices are very expensive and difficult to maintain. 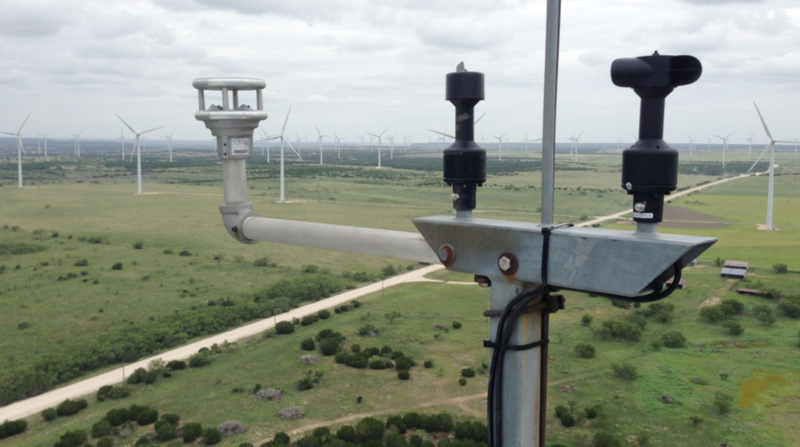 When watching mechanical wind sensors such as vane models, you’ll notice that these always move slightly at all times – even under constant wind conditions. Cup and vane systems always have a certain inertia, which makes it impossible to capture short wind gusts. Compared to this, ultrasonic wind sensors such as the VENTUS-UMB have significant advantages. Also, there are no mechanically moving parts which wear out. Lufft VENTUS-UMB issues precise real time measured values every quarter of a second (0.25 s). In case this is too fast, the output rate can be slowed down, of course. Moreover, even under the most extreme conditions, it stays ice-free thanks to built-in heating. 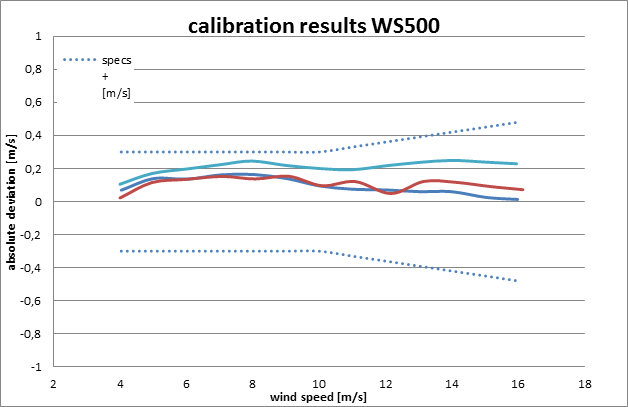 WS500 3-year drift test: X axis – wind speed, Y axis – measurement deviations; Dotted lines = specification. No moving parts means no aging! Disturbances, which can be caused by the sensor fixtures, bars and housing construction, are smoothed by the long distance over which the ultrasonic signal travels; on the other hand, every ultrasonic anemometer from Lufft undergoes an elaborated adjustment process in the wind tunnel in order to detect and correct all kinds of influences. This allows us to eliminate interfering influences. All test results are recorded in a calibration protocol which is included in the scope of delivery by default. With this service Lufft stands out clearly against other ultrasound device manufacturers carrying out only a so-called “zero runtime check” or a synthetic adjustment (without wind). In the diagram above, you can see the measurements of a WS500 compact weather sensor’s ultrasonic wind sensor over three years. The wind speed is plotted on the X axis, while the Y axis shows the measurement deviations of the weather sensor. In the diagram, the dotted lines represent the specification. Please also take the measurement uncertainty of wind tunnels into account – scatterings are normal here. In each measured year, the result is clearly within the specification, which means that the device still measures as reliably as at the beginning – even after three years. 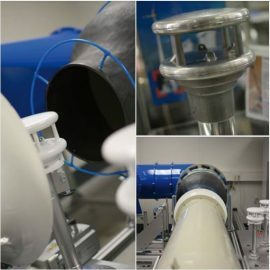 This long-term stability has a positive effect on operating costs: Mechanical wind sensors are less expensive to acquire but have to be replaced much earlier than ultrasonic models. With regard to the total costs of ownership, it becomes clear that digital versions generally result in significantly lower costs than mechanical ones. For this purpose, I recommend to take a closer look at Abraham Aguilar’s cost-benefit analysis. Note: In the context of traceability and measurement certainty, you should nevertheless calibrate environmental sensor on a regular base. You have questions about Lufft wind sensors? We’re happy to help! 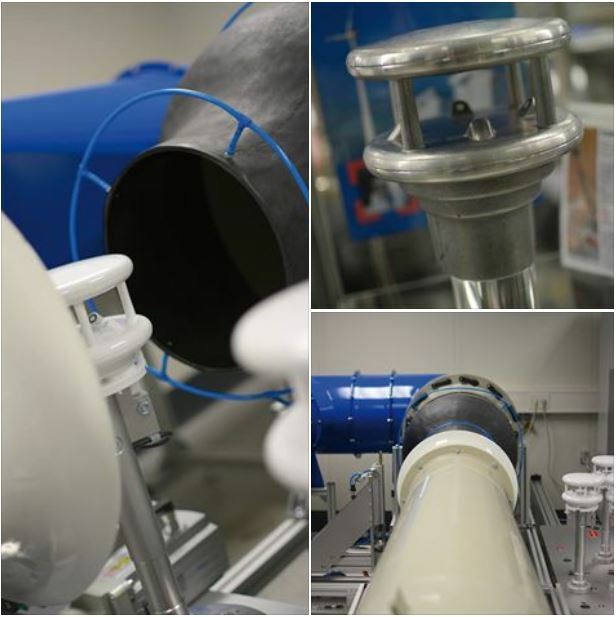 Free Port Ventspils equipped with nine ultrasonic wind sensors from Lufft Mechanical vs. Ultrasonic Wind Sensors – a Cost Benefit Analysis Does Ultrasonic Wind Sensor VENTUS-UMB pass extreme tests? 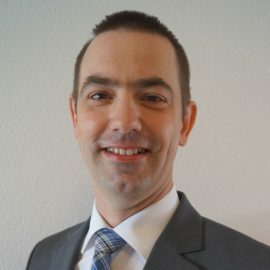 My name is Helmut Hager and since 1999 I've been engaged with the development, manufacturing and calibration of environmental measurement technology. Since 2004 I've been head of the accredited calibration laboratory at Lufft.